Slipcased, 7 x 10.5 in. / 56 pgs / 3 color. Artwork by Vija Celmins. Text by Eliot Weinberger. New York artist Vija Celmins has made many images of the night sky--paintings, drawings and prints of gorgeous richness. In The Stars, she and her collaborator, the essayist and translator Eliot Weinberger, devote an artist's book to the theme. Celmins created three celestial prints for the project, which she also designed. One print, inspired by the worn binding of an early twentieth-century Japanese book, becomes the volume's mottled deep-blue cover; the second and third prints are images of the night sky, one of them negative--dark stars on a pale ground. For the text, Weinberger assembled a catalogue of descriptions of the stars drawn from around the world, and from an array of historical, literary and anthropological sources. This mythopoetic charting of the night sky evokes the vastness of the human imagination's response to a space itself vast and unknowable. 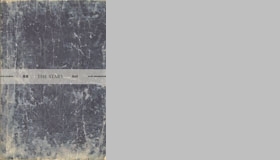 Appearing in English and also in Arabic, Chinese, Hindi, Japanese and Maori, the text supplements Celmins's images visually as well as verbally. The Stars was originally a limited-edition livre d'artiste published this year by the Library Council of The Museum of Modern Art. FORMAT: Slipcased, 7 x 10.5 in. / 56 pgs / 3 color.